The M6 Pro is a budget-friendly in-ear headphone set with unique design and fascinating sound. We often test sets in the three-figure price range and this model can easily be mistaken for one. The design of the earbuds is transparent and you can easily see what they’re made of. With the package, you will receive a wallet-sized case, 6.3 mm adapter and seven pairs of tips. For the price given, the MEE audio M6 Pros are a suitable option for individuals looking to purchase budget-friendly earbuds to enjoy the everyday listening to music. Recently, the TaoTronics headset has been one of the hot choices for best cheap earbuds on Amazon. They are affordable and offer a great technical specification, but are they worth it? At first glance, these headphones look like they cost a fortune because of their stylish design. They have a wire between the buds so that they don’t fall off easily and they have aluminium backs with magnets. As you go down on the wire, you’ll find a lightweight 3-button remote that works seamlessly. The earpieces have silicone tips for enhanced comfort and ear hooks to secure them on your ears. The battery life is around five hours, they support Bluetooth and there’s noise cancellation for the microphone. Basically, they offer everything required by the common consumer and they cost close to nothing. The problem with the TaoTronics is the sound. The bass isn’t as good and they offer poor separation and limited detail. For some people, the price might excuse these imperfections, but not for individuals who enjoy the music. If you’re looking for a headset at affordable rates, then the TaoTronics are the one for you. They have the appeal, but the sound quality isn’t recommended for audio aficionados. However, for individuals looking to buy stylish and budget-friendly headphones, the TaoTronics will do the trick. After all, you can always throw them in the trash and buy new ones! The Monoprice triple driver earbuds headphones are the ideal solution for all smartphones and tablets offering you quality sound at a price that will not break the bank. Complete with three drivers, they are capable of delivering a mind-blowing 115dB of sound, which means they go above and beyond most headphones on the market today. The triple driver setup means you get a far more balanced sound with stunning power and clarity allowing you to enjoy your sounds like never before. The 3 drivers allow for better sound quality across a range of frequencies just as you would expect from a concert venue. Furthermore, they come with 2 perfectly balanced armatures which means it reacts better to those subtle changes in frequency and sound without distorting what you hear. These headphones are astonishing, and there is no doubt that you will be left stunned at the clarity of your music and can appreciate it like never before. These SoundMAGIC E10 noise isolating in-ear earphones are not only cool to look at, but they also delivery amazing sound no matter what you are listening to. With a complete all metal construction, they are strong but do not think that this means they will be uncomfortable as that is not the case. Instead, it simply means they can stand up to everyday use without being damaged. The earphones themselves have been created by acoustic engineers that have sought to create the perfect balance for the quality of sound thanks to the configuration of the drivers. Not only does this lead to those balanced acoustics, but their ability to handle bass is second to none. Furthermore, they have sought to include the perfect ear-tip for the earphones so it fits snugly in your ear eliminating external noises and boosting your audio experience. You may also like to know the following key points for the SoundMAGIC E10 noise isolating in-ear earphones. Frequency range is 15Hz to 22kHz. Considering their relatively low price point, these ZERO AUDIO ear stereo headphones Carbo Tenore are more than capable of punching above their weight. Basically, the quality of sound that you get from this product is even far superior than you would expect to receive from headphones several times the cost. They are comfortable with smaller ear tips installed, and they do improve over time even if they feel rather unsettling at first. This will also improve the noise isolation aspect of the model, and it also stops the sound from leaking out even as you increase the volume to around 75% of the capacity. However, it is the sound aspect where these headphones stand out from the crowd. For example, these are the all-important stats for this model. They have a sensitivity of 102dB. The frequency they operate at runs from 8Hz to 24kHz. The Carbo Tenore is more than capable of dealing with low frequencies, and even though other ZERO AUDIO models are better at bass, this is still not going to let you down. However, it is in the mid-range where it excels, so unless you are actively seeking those finer audio tuning points, then this product is going to go above and beyond your expectations. The truth is that the earbuds that come with the phone packages are mediocre and people who love music must upgrade eventually. One of the best deals that provide value at great prices is the Sennheiser CX-300 II. They feature unique and lightweight design that fits comfortably into your ears. The cable won’t cause much trouble as others often do. When it comes to the sound, it’s quite solid and there’s tons of bass. The vocals are clean and they simply slaughter the iconic white Apple buds. The company behind this product – Brainwavz – is known for manufacturing consumer audio products. The SO headphones come in a fancy laminated foam later that colds the case in the packaging. It is well protected due to its sturdy cardboard construction. The earbuds feature non-tangle cables made of elastic materials that prevent them from wearing out. They have a built-in microphone as well, but it is far from perfect. When worn with the comply ear tips, the device is very comfortable. They are lightweight, so you can enjoy long hours of music sessions. Moreover, the pack comes with a great variety of accessories that you won’t find anywhere at this price-range. For greater durability, the shell and the nozzle are made of metal. On the cable, you can see the microphone and a control unit to increase/decrease volume or pause/play. The SO’s a popular choice due to its durable build and wide range of accessories. Even thought that the mid-range sonic performance isn’t that good, the vocal quality is impressive. When it comes to performance and price, they can hardly compete with the others because of the great choice on the market. However, they are still a preferred choice by many because they are meant to last. Nowadays, the market is flooded with hundreds of devices and it’s hard to find the gem amongst the garbage. The Symphonized NRG 3.0 earbuds are a preferred choice by many that won’t break your bank. Specifically, this model is an enhanced version of the NRG 2.0, whereas the main difference is with the cord, which comes with a multi-tone covering for decreased noises. Moreover, it has a volume controller and a microphone, so that you don’t have to use your phone at all. The pack comes with three silicone ear tips in three sizes and a small carrying pouch. The previous version was famous for the great bass and solid sound. If you are wondering, whether it’s the same way with the new version – it is. There’s no distortion with the bass, the audio is crisp and the highs are clear as well. We’ve tested them on many genres of music and the quality remains solid. We guarantee that this set doesn’t sound like a budget-friendly model, because you can easily overpay and still feel like it was worth all the way. If you’re looking for a fresh change without overspending, then the Symphonized NRG 3.0 won’t disappoint you at all. Sony is one of the most popular brands in the worlds and they take pride in the quality of their products. The Sony MDR-XB50AP is no difference with its 12mm dynamic driver and neodymium magnet. The model comes with an inline microphone and one-button control, but the cables are non-detachable and the carrying pouch is soft fabric. Unlike other models, here you can choose between 3 different color options. There is little to no sound leakage at all, which makes them highly suitable for quiet places to keep your music private to your presence only. This model is for individuals who have experience with budget-friendly earbuds and wish to improve. Their price is justified in every aspect due to the unique sound reproduction they offer. The CBAOOO in-ear earphones come with not one, but two drivers offering you stunning sound across a range of frequencies. Thanks to this Hi-Fi stereo approach, along with the sound isolation technology, it means you will experience an amazing clarity of sound no matter what you may be listening to. In addition, the dual drivers mean you experience superior bass than ever before. They have also sought to ensure that the midrange sounds do not suffer thanks to the technology providing stunning sound all of the time. The earbuds themselves are manufactured to such a high standard thanks to the precision molds that were used in the process. Also, by using silicone earbuds, it results in earphones that are lightweight and comfortable to wear at all times. Furthermore, even the ear-hanging cords have been ergonomically designed to produce something that will sit perfectly and not irritate you or move around with you having to continually adjust them. The company also states that their earphones have been tuned by musicians, so you can expect amazing things from them. Overall, these are inexpensive earphones that pack a punch, and with the sound isolation features, you will experience music like never before. Anker became popular selling affordable mobile accessories and the Soundbuds aren’t far behind on the list. The earbuds feature a simplistic, but yet durable design with metal housings and a thick cord. Moreover, they are sweat resistant with a battery life of around 7 hours. The lightweight nature of the model results in a comfortable wear. When the battery is low, it will notify you with a LED light. We tested its capabilities and it looks like that it can withstand up to 6 hours of listening to music. It takes only two hours to charge the device fully. After you make your purchase, you need to use the headphones for a couple of hours until they start working properly. As we have already said, the seal is important as it determines the quality of sound. The pack includes four sizes of silicon ear tips and three sports hooks in different sizes. Our tests showed that the Bluetooth performs great and the range is quite good. Given the low price, the bass is a little loose and the treble has a harsh edge to it. However, these problems occurred mainly during the higher volume plays. Even though that the Soundbuds are inexpensive, they have a stylish design that doesn’t feel cheap. Moreover, they fit comfortably and the sound produced is quite distinct. Having these, you’ll know that you have a reliable set that won’t let you down. For an improved sound, the housing is made of copper, which provides a better sound, greater durability and more stylish appeal. The microphone, with a single-button controller for music and calls, is also made of copper. They have 8mm Neodymium dynamic drivers for enhanced music experience. We tested various music genres to check the bass of the headphones, but it turns out that they still need more of it. With the purchase, you will also receive a slim pouch for storage and replaceable tips. This headset offers a stylish appearance while providing clean and controlled sound. When you consider their price tag, you can see why their popularity continues to grow. The Sardonyx SX-918 provide incredibly clear and crisp sound with deep bass that every music fan wants to have. Not only that the sound is remarkably good for the price, but the headphones have a noise-cancelling design. Moreover, these headphones are waterproof and they feature over-ear hooks to help them remain in place during your workouts. In fact, the IPX7 rating allows them to withstand up to 3 feet of water for thirty minutes. When it comes to wireless headphones, the battery life is quite important and with Sardonyx it’s around 8 hours playback. For a full charge, they require only 1.5 hrs and talk time during calls is up to 8 hours. If you’re not happy with your purchase, then you have a 30 days money back guarantee and a 1-year warranty. The quality of the sound and build make them worth every penny. Similar to the TaoTronics, Jaify’s headset also has silicone earpieces for a better fit. However, they got the upper hand with the metal aspect that improves the sound considerably, making it crisp and clear. With the help of the dynamic unit and metal housing, the device delivers impressive quality and bass. The housing is made of aluminium alloy, allowing the sound to be reproduced correctly. There’s also a 3.5mm gold-plated plug and a bright chrome plated metal handle. Jaify’s are compatible with MP3, iPod, iPad, CD players and most mobile phones. Overall, the tests were quite successful for this product as it delivered magnificent sound, enhanced bass and proper noise isolation. Thanks to the rubber, it fits comfortably in the ear and won’t fall off easily from the ear. The appearance is of a premium product, but at a budget-friendly price. The remote is compatible with all popular devices and we can firmly say that these are one of the best earbuds with microphone under $50. What is The Best Earbuds Under $50? When it comes to more inexpensive models, you can expect miracles from the sound. Cheaper headsets don’t offer big differentiation when it comes to the quality of the music. The difference is within the design and the fit of the device. For individuals who listen to music during work or at home, then you can go for MEE audio M6 PRO and SoundMAGIC E10. Incase for more active individuals, the in-ear or behind-the-ear models are suitable as they offer a secure fit. For enhanced sound, you have to spend some extra bucks to notice any difference and we suggest ZERO AUDIO-ear stereo headphone for this level. We also suggest the in-ear pieces as they provide both noise isolation and greater bass. Moreover, if you’re the type of person who doesn’t keep them in carrying cases, then you might want to go for cheaper pairs so you don’t have to worry when you break them. How Do We Test Earphones Quality? At first glance, we enjoy the out of the box experience, which starts with the products packaging. It allows us to have a first impression on sound and build quality. The listening session occurs over a period of time, usually around two weeks. We use a variety of tracks ranking from 128K Mp3 and AAC files to WAV and Flac files. If the product sounds similar to a previous one that we’ve reviewed, we add them into a list for comparison. We perform a variety of listening tests and our conclusions are a result of a careful analysis by our team. While most people rely only on electronic equipment for the purpose, we allow our hearing to leave a mark to the experience. During the evaluation process we listen to well-known music tracks over and over again. The first factor is to determine whether there is any differentiation from reality. After the first stage, we start listening for more subtle issues, such as the bass response, treble and so on. 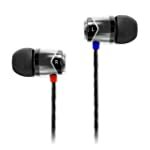 Is it worth getting cheap earbuds at all? 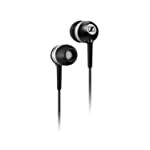 Nowadays, the best earbuds under $20 are similar to the free ones that come with the purchase of your mobile device. Those that cost above $35 are the ones where you start making the difference. For example, the first thing that you’ll notice is that there’s less distortion and the bass is slightly enhanced. They are also worth buying for individuals tend to break them easily. If you want something more sophisticated, then you’ll have to go for the $80-120 price range. For audio aficionados and professionals, we recommend the $200-300 models, where you can receive the highest value for your money. The in-ear style is less popular due to the fact that most users find it uncomfortable. Because it’s inserted into the ear canal for isolation, people find it both physically and mentally unpleasant. In most occasions, these buds come with multiple rubber and foam tips in different sizes. The rubber tips are easier to clean and they’re designed to allow improved breathability. Usually, they come in three sizes, but there’s a chance that none of them will fit. The headphones that come with your mobile device are average at best and they’re not recommended for music fans. Many people wonder what’s the difference between the two. Well, earbuds sit on the outside of the ear canal. They can’t remain in place, which often causes problems with the sound quality. The earphones fit perfectly in the ear canal, sealing it from outside noises. They are much smaller and lighter than the average headphone. In recent years, the earbuds have become a synonym to in-ear headphones, so the difference is simply technical. Whatever the name is, you need a piece that fits comfortably and disallow outside noises. The connectivity of the earphones happens through the standard 3.5mm cable or via Bluetooth. Bluetooth devices are generally more convenient for use, because you don’t have to connect them with cables. However, they are more expensive and you have to keep them charged. Moreover, most Bluetooth earphones don’t have a 3.5mm port, which means that you can’t use them at all if they are out of power. The true wireless buds are known as wire-free because they don’t connect the individual earpieces through cables. Due to the fact that this technology is new, it took some time to clean it from bugs. As technology advances, we start seeing better devices in terms of battery life, design and sound quality. Note that, the wire-free benefit will cost you more than a traditional headset. but there are some affordable one in our list of best earbuds under $50. Most earphones are made for individuals who do sports and this requires greater water resistance. The sweatproof feature is important so that they can withstand the solid amounts of sweat. The earbuds are also made to endure greater friction and remain on your head during your activities. The normal headphones are comfortable while sitting, but they shake off easily during workouts. Of course, not all earphones are made for training. Look for a fitness-oriented headset to ensure that they are sweatproof and will stay on your head, no matter what you do in the gym. The truth is, that it doesn’t matter how well your headphones sound when they are uncomfortable. To decide whether a certain set fits properly, you need to wear them for at least twenty minutes. Weight is one of the most important factors in terms of comfortability. The majority of headphones have a headband, except the earbuds. These earphones that rest on your ear must be smaller and you must look for devices that feature soft or leather fabric to minimize the pressure. When it comes to headphones, the portability isn’t an issue. If you have a larger headset, then you might want to purchase a solid pouch for storage. For individuals who listen to music during physical activity, we recommend the lightweight models. The closed-back ones are suitable for professional artist who require noise isolation to focus on the sound. The fold-up designs are made for people who travel a lot, but more expensive earbuds can do the job. Moreover, the in-ear headphones can be used during workouts as they are designed for the purpose. Above, we’ve highlighted some of the best and most affordable models in case you want to replace your old ones. Nobody wants to purchase a product that won’t withstand the normal everyday use. After all, you want a product that will last and not break after few uses. Unfortunately, the greater durability is often associated with heavier weight. Lightweight devices can be easily broken, especially if you don’t put them back in a protective case. Each model has its weaknesses. For example, the fold-up earphones have issues with the hinges. Others have thin and delicate cables that easily snap. Always check whether there are any replacement parts available for your headset. If you haven’t considered the wireless models, then you will have to deal with cables. Avoid exceptionally long cables as they offer poor sound quality and noises. Higher-quality headsets will have shielded cables to minimize the noise. If the cable is short, you can always purchase an extension, but if it isn’t of the same quality, it will distort the sound considerably. There are single and double-sided cables, whereas the single ones are preferred as they have internal circuitry that distributes the sound appropriately to the earpieces. Fit and seal are key element for the performance of all headphones. There are a few factors that determine when there’s an improper seal. Our experience points that the problem with most in-ear headphones isn’t in them, but in the user that wears them. Most often, people don’t know how to put them on correctly. In case that you experience any of the issues above, then you might want to switch the tips or push them deeper into your ear. Using a smaller ear tip can result in an improper seal. On the other hand, the larger ones would prevent a deep enough seal and this will reduce the comfort considerably. Other important factors that we have to mention are earphone design, wear style and insertion angle. The ear canal has a certain angle and knowing where it is would make insertion a breeze. When you have sealed the device properly, you will notice the difference quickly. Of course, every rule has its exceptions. In-ear headsets with poor design don’t offer noise isolation. In the end, the amount of external noise you hear will be determined by a variety of factors such as ear tips, device design and music volume. The ear tips are inserted inside your ear canal and because of the uniqueness of the human’s ear, there are different types of ear tips for a better match. Usually, when you purchase a device you receive a minimum of three different sizes. Single flange: The most common ear tips are called single flange because they use a single silicone piece to make a seal. There are many varieties because they came in different shape, material and thickness. Denser materials provide better bass levels and greater isolation. They are less pliable when the material is thicker. Moreover, when they are very hard, they can be uncomfortable. But being soft can cause them to collapse inside the ear canal. Bi-flange: These ear tips have both a small and a large flange on the same stalk. Even thought that you can find different shapes and sizes, there aren’t much because they lack popularity. What makes them so special is that they have two independent areas that can seal with the ear canal for an improved isolation and bass. The problem with this model is that there aren’t many sizes. If they don’t fit properly, they’re basically useless. Tripple flange: If you’re looking for a greater seal and isolation, then you might want to consider the triple flange ear tips. Considering that your ear canals are deep enough, these are perfect to enhance the bass performance. Foam: Looking for comfortability? Then the foam ear tips are the ones for you because they’re soft and fit perfectly inside your inner ear. You can choose from a wide range of density and finish. However, the insertion process is a bit different because you have to compress the ear tip before being inserted. Then the earphone must be kept in place, while it expands back into shape. They’re quite quite popular due to their noise isolation capabilities. The main disadvantage comes from the fact that they don’t last as long as the silicone ear tips. Not only that, but they are hard for cleaning and not affordable. Most people in the music industry or those who love reading about audio, must have heard about the term “signal chain”. This term refers to the path taken by the audio from its creation to the entrance of the ears. A single chain consists of both the software and the hardware that converts the audio into sound waves. A good headphone audio means that you need a strong signal chain. The sound waves created are in a digital form and they are converted by the DAC, Digital-to-Analog converter, so that your ears can actually hear the sound. Most phones and laptops have a built-in DAC, but it is an average system. Purchase a specialized hardware and outsource this function for an enhanced sound. The DAC is a simple equipment that needs to be plugged only and it improves the sound’s quality considerably. The Digital-to-analog converter will sharpen the signal chain, but the headphone amplifier will give the sound a significant boost. The amplifier boosts the overall volume of the audio and it deepens the sound, making it far better than before. Checkout our article about how to use headphone amp to get more information. The everyday use can tear apart your earbuds and it’s an inevitable process, especially when you don’t take proper care. Most often, the issues occur due to damaged wires or dirt in the earpieces. To keep your headphones in shape for a longer period of time, you will need to protect the wiring, use a protective case and clean them frequently. Always pull the plug and not the cable, when removing it from an audio source. Putting pressure on the cable will result in a damage sooner or later. Always pull firmly and steadily the earbuds from the jack. Doing it sharply by force will cause damage on the prong. It’s worth to mention to obvious – don’t leave the headphones on the floor as you may accidentally damage them. Furthermore, you have to remember that headphones must not be left plugged in when not in use. It’s your purchase, so remember to wrap the cables before they get tangled. The connections of the earbuds are the weak points of the device. These include the plug, earpieces, remotes, volume sliders and etc. When removing earbuds, pick out the earpieces carefully without pulling the cable. You might experience problems with the sound of the device due to dust and earwax. The earpiece can be washed with mid detergent or isopropyl alcohol. In-ear headphones tend to stack debris, so you have to pull off the covers and clean them. If the covers of the headphones contain dried earwax, then you have to clean them with hydrogen peroxide to soften the dirt. After the cleaning, if one of the earbuds sounds quit, try blowing into it to realign the speaker. You can get full tutorial from us at here: how to clean earbuds correctly. Yes, we have also experienced the urge to share our favorite song to our best friend, but sharing your earbuds with other people isn’t a good idea. You might want to carry cotton buds if you share them, because the ear canal isn’t the cleanest part of the human body. We place earphones inside the ears and they require more in-dept cleaning. To see how much dirt is gathered for a month, get a white or colorful model and see for yourself. It is recommended to avoid alcohol because it can harm the finish. Use a mild wet tissue or damp cloth to clean them properly. As you might already know, earphones aren’t compatible with water. If you’ve laundered your earbuds, then the chances are that they won’t be working again. Of course, the raindrops on your run home won’t be an issue. If you want greater water protection, then you should look for waterproof and sweatproof models. They also have their limits, but they are far more sustainable. The earphones have a certain limit when it comes to frequency range and decibel level. They can be easily damage by playing deep bass tracks or turning the volume up too much. It isn’t easy to reach the point of breaking them down, but it is possible, especially with cheaper models. All earphones have a certain volume level where they perform at their finest, so find it out and enjoy.